If you’re interested in what we have to offer, you’re probably wondering how much it will cost. Catering of this type, of this quality, is usually very expensive. You want to know how much of your budget you need to set aside for your event or party. Our catering service is available for a minimum of thirty guests, valued at $20 per head. This price is inclusive of the service, the equipment, and a delectable menu. You’ll get focaccia, antipasto,Italian doughnuts, arancini, risotto. 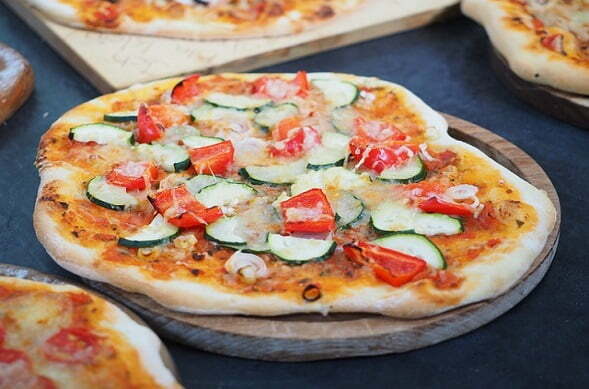 And of course, you’ll get our famous pizza, cooked in a wood-fired oven. With us, you get excellent food and all the stuff that should come with it. You’ll get the photogenic and eye-catching truck, the chefs that prepare everything, and the staff that serves your guests. 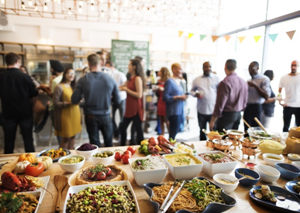 Let us handle the logistics of feeding your event, so you and everyone else can sit back and enjoy. We guarantee we use the finest ingredients. Our food is guaranteed freshly-cooked because we’ll be there preparing it right in front of you! If you want a little more control, you can also call us to ask for pre-set menus or choose which dishes you prefer to be available. Our staff will make the proper adjustments. This service is available for weddings, parties, corporate events, and more. Call us, and we can make the arrangements. If you’re not sure if your location or event is within our area of coverage, give us a call to inquire. We will be happy to answer any queries you might have on location, menu, and even pricing. We request that you give us the time and location, so we can get set up before the event starts. This way, the oven is ready to cook, and the fires are hot once your guests make their orders.